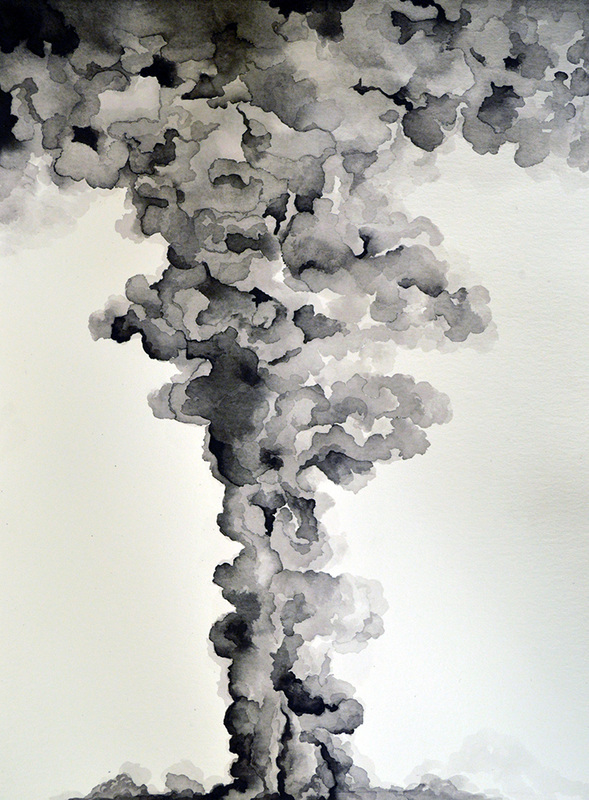 These five ink drawings depict "smoke". 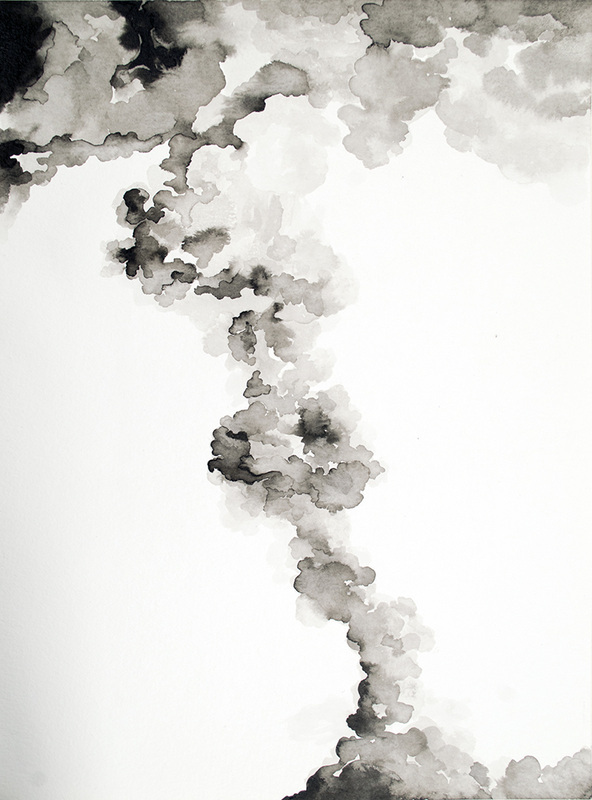 Smoke is an abstract manifestation of fire, a visible suspension of carbon in the air. 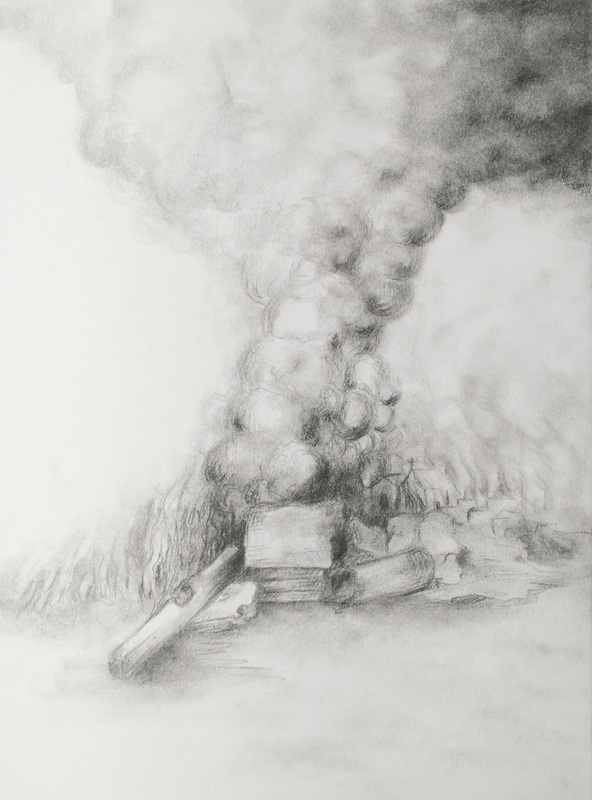 Various indigenous groups including in our Mayan culture the use of smoke in rituals is considered sacred. For instance, in the Catholic Church the burning of incense during services is a symbolic gesture of prayer and offering; the burning, the smoke along with its smell is akin the presence of God. 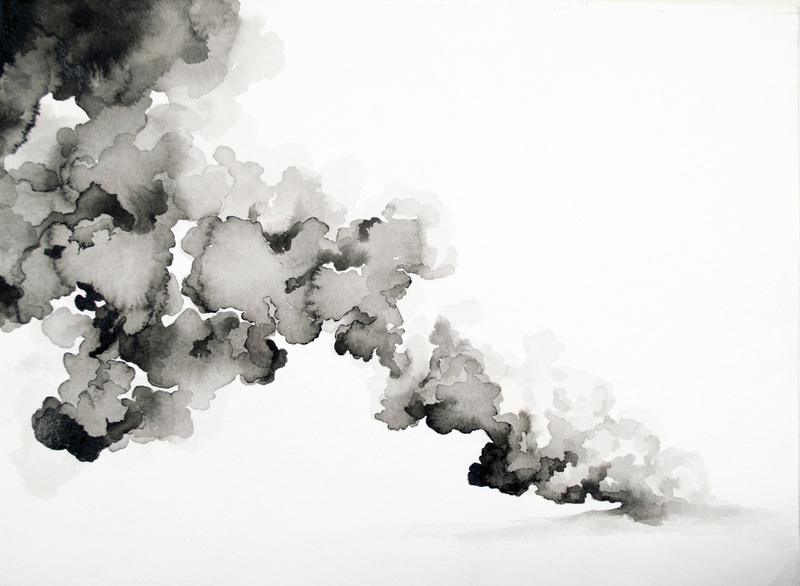 However, smoke also has negative connotations. 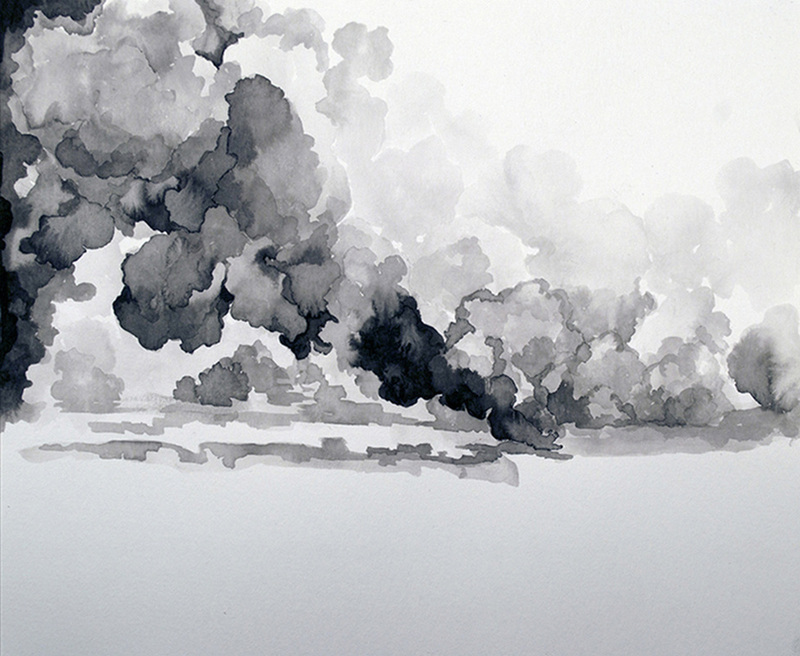 I see smoke as evidence of destruction, as a result of war assaults. 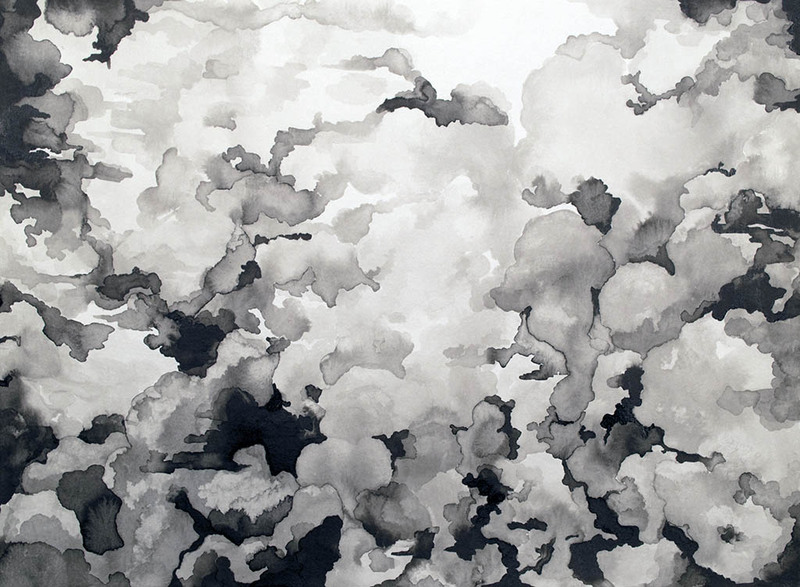 I find it intriguing to see how the smoke begins as a thick mass and then it dissipates as it ascends to the open sky as if it is the material manifestation of the soul’s journey.